One of the first history walks conducted by the Hotham History Project was a - pub walk. It seemed right, therefore, that the Project should organise a temperance walk. The temperance movement had, after all, played a part in closing down the many pubs (116 in North and West Melbourne) that were only a memory by the time of the pub walk. But there was much more to the temperance movement of the nineteenth century than opposition to the drink. In several ways, temperance was the focus of political reform in Victoria. To the leaders of the temperance movement, temperance and total abstinence (from alcohol) were the same thing. This is true at least for two of its formative leaders, Richard Heales (1821-1864) and James Munro (1832-1908), who were leaders of both temperance and total abstinence societies. Both men were also premiers of the colony and generally associated with radical policies, Heales it seems for genuinely idealistic reasons, Munro for rather more expedient ones. Heales is indirectly associated with North Melbourne through his dealings with the politicians William Haines and John O'Shanassy who are remembered in the names of a couple of streets that cross Abbotsford Street. Munro's association is closer. In 1874 he became liberal member for North Melbourne in the Legislative Assembly. In the same year Hotham's Temperance Hall at 456 Queensberry Street was built and provided a shelter for Munro's campaign against the publican John Curtain. A publican, of course, had little need then for public halls to campaign in. The 1870s were still the days of all-male suffrage and pubs were still the setting for much political activity. 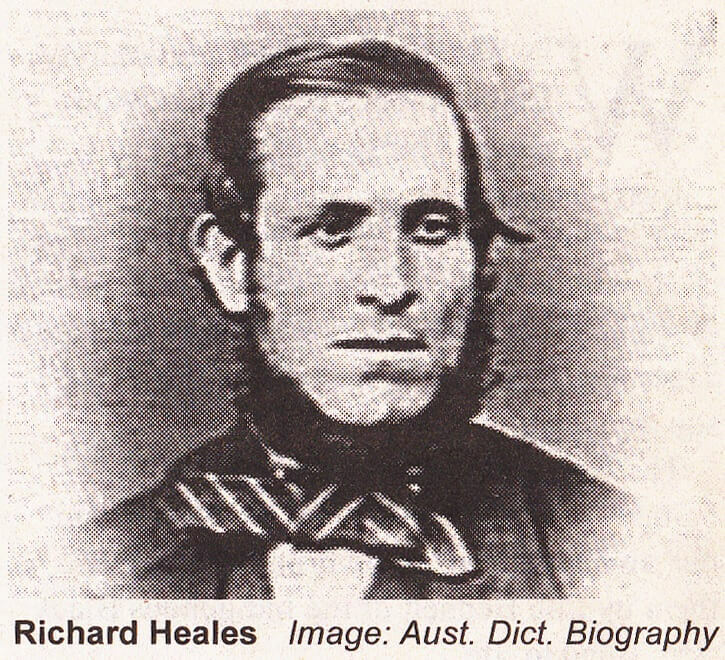 Richard Heales, who had helped form the Total Abstinence Society and build Melbourne's Temperance Hall in 1847, succeeded as a Melbourne City councillor in having council elections, conducted by a show of hands, moved out of pubs. He hoped the time was near when "the nomination and the poll would no longer be the arena of vice and intemperance, but when the election of the candidate would be the pure result of the people's choice" (Australian Dictionary of Biography). He supported secret ballots and, along with his temperance causes, gained a reputation as a democrat and advocate for the improvement of the working classes. When he stood (unsuccessfully) in 1856 for the seat of Melbourne he campaigned as a champion of working men and for a general system of education. 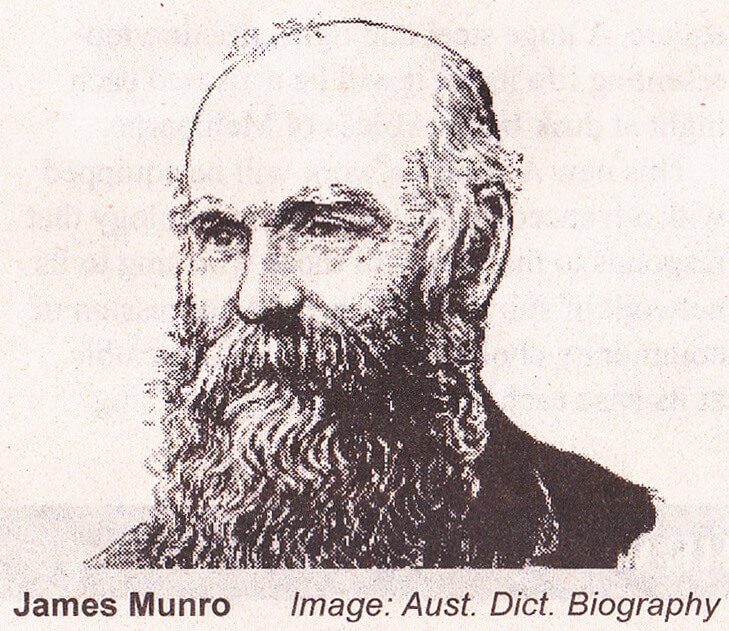 Thus when James Munro campaigned as a temperance man in 1874 he was already part of a reformist tradition from which the cause of female suffrage followed naturally. Munro's biographer suggests that his motives were not altogether idealistic since many women were inclined to the temperance cause, sometimes no doubt for practical domestic reasons but also out of the same sense of justice that ani-mated men such as Heales. So with this background in mind we started the Hotham temperance walk at the 1877 Thomas Henderson fountain outside the post office in Errol Street, without alluding to the role clean water would play in Western drinking habits, and paused briefly in front of the bluestone pile that used to be the Lalla Rookh Hotel where, like Thomas Henderson, I sang a song but, unlike him, did not recite Tennyson. We then moved near the corner of Chetwynd Street, to a view of the Temperance Hall, built in 1874 by the Hotham Temperance Hall Company that was formed on 8 January 1874 by five North Melbourne tradesmen headed by William Riddell, a tailor. The building of the hall seems improbably quick, what with the land being bought by Riddell from Andrew Knight on 4 March and an election meeting addressed by Munro in the new hall reported in the North Melbourne Advertiser of 27 March. The speed might be explained by the fact that the hall was built in two stages — the hall first, then the shops in front. It is clear from another report in the same Advertiser that the street in front of the hall and the space between it and William Riddell's dwelling were not part of the hall as it eventually became. The temperance movement, notably in the person of businessman James Munro, was closely connected to friendly societies (with exotic names) and coffee palaces. The walk stopped opposite the car park that used to be North Melbourne's coffee palace and we speculated awhile on whether these institutions were effective social substitutes for pubs, though no doubt necessary in the absence of measures to civilise pubs. Friendly societies in Hotham were numerous enough to take over the Temperance Hall in 1883 and keep it until evangelical Christians bought it in 1909. Back at the Temperance Hall, the walk was highly entertained by Bill Liddy and Ken Mansell recounting stories of the hall when it was the headquarters of the Communists' Eureka Youth League and a leading venue of hot jazz. Unresolved disputes about when and how various socialist and free speech movements came to use the hall -- there are long-standing local stories without documentation were able to be carried on over a charming afternoon tea provided by the hall's present owners, the Legion of Mary. There is much still to be known about the Temperance Hall and the movement that created it. On Richard Heales, see Margot Beever in Australian Dictionary of Biography, Volume 4, (MUP), 1972. On James Munro, see Anne M. Mitchell in Australian Dictionary of Biography, Volume 5, (MUP), 1974.